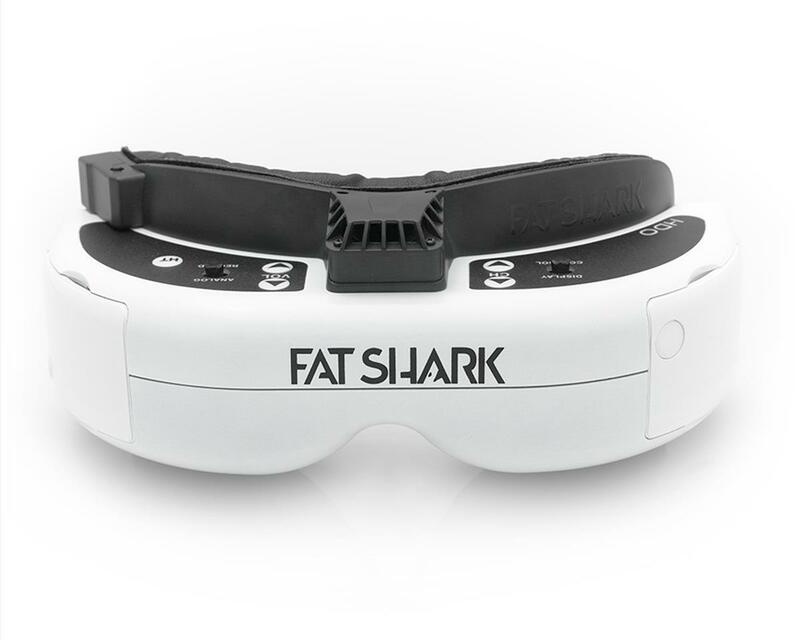 Fat Shark HDO FPV Goggles are the world’s first FPV goggle to use OLED display technology! The HDO’s OLED display stack produces vivid colors and higher contrast ratios, giving pilots the ability to see better detail under challenging and changing lighting conditions. Fast-moving images also display better thanks to reduced artifacts from image retention. On top of the OLED module, Fat Shark’s patented optics produce crisp images from corner to corner on each display, alleviating any blurriness around the edges of the image. Received these goggles from amain hobbies and the HDMI input would not work. No picture, no flicker, and it did not register or attempt to auto negotiate the screen size with any of the devices I tried. I'm not sure if this is an isolated incident but I strongly recommend checking your goggles out when they arrive. I systematically tested the cables and the computer against Fat shark HD3's and the Spectrum branded Focal DVR (Fatsharks). Additionally, I tested all three goggle sets against several different input devices.....MAC, Windows, and Linux. The HDO's never displayed any picture from any combination available for testing. Being on the east coast and having a lipo, it took 7 days by ground to arrive from CA. On the 8 day (Sunday) they were tested and found bad. Called Monday to straighten out the situation and found it odd that they would need to be bench tested at amain because I was over the limit of the initial time for return. The goggles were returned and tested at amain. I received a full refund. Just a warning that the clock starts from the shipped day rather than the day your item is delivered. The picture on the OLED was pretty clear and seemed to be better than the HD3 and the Focal's. The darks were much more defined and the detail level was better than the other two sets listed. The fake leather face plate pad was a really nice update and the playback on the DVR was also nice. I'm going to sit tight and see if any other people have any issues. Very high quality monitors. Chic contrast. Almost does not require adjustment for the eyes.